Swiss landscape architect Anouk Vogel lives and works in the Netherlands. 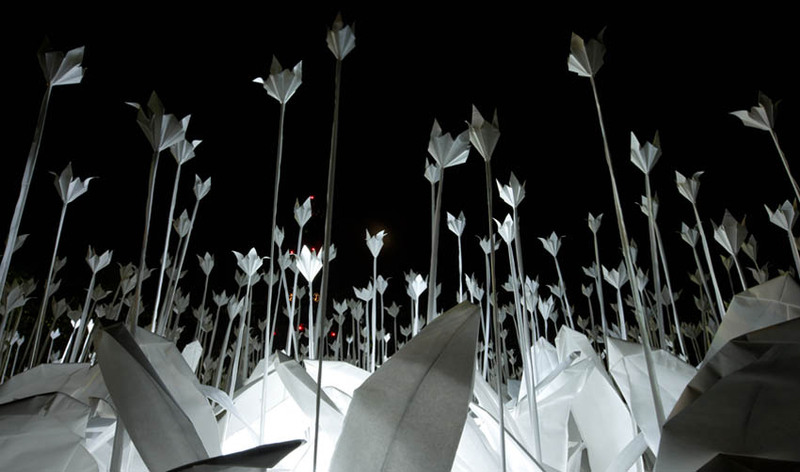 Her Paper Garden titled Folding for Peace, was commissioned by the Gardening World Cup (who knew?) in Nakasaki, Japan, last year. 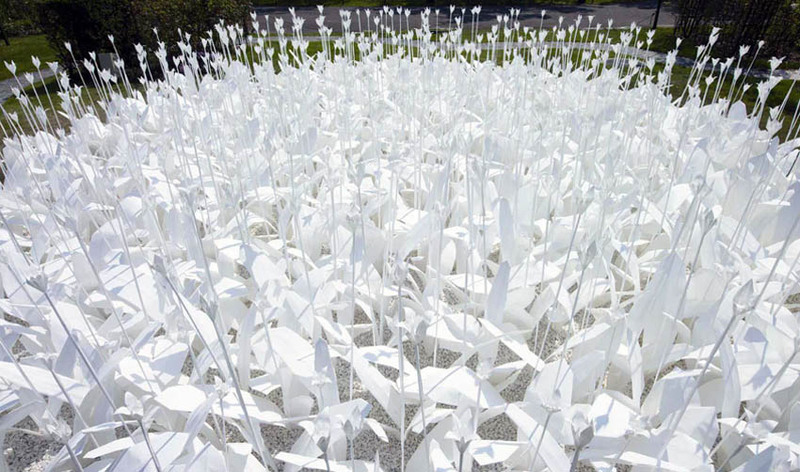 Inspired by an ancient Japanese legend which promises that anyone who folds a thousand origami cranes will be granted a wish, such as long life or recovery from illness, Vogel folded thousands of paper flowers and plants with the wish for world peace.